When youâ€™re thanking someone, nothing is better than putting a smile on their face. Thatâ€™s why Iâ€™ve put together this collection of funny thank you quotes and sayings. 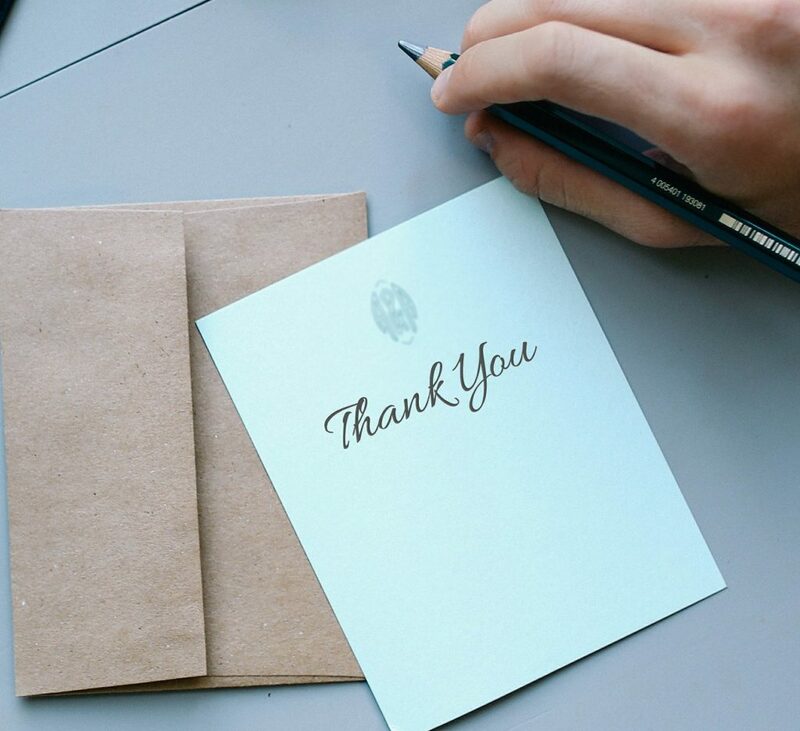 Use these quotes in thank you notes to friends or colleagues when you want them to chuckle. Are we missing a great Funny thank you quote? Add your favorite at the bottom of this page! "A friend is someone who will bail you out of jail. A best friend is the one sitting next to you saying "boy was that fun." "How Many Roads Must A Man Walk Down Before He Admits Hes lost?" "You have no cause for anything but gratitude and joy." "Best friends are those who, when you show up at their door with a dead body, say nothing, grab a shovel, and follow you." "Older people shouldn't eat health food, they need all the preservatives they can get." "If you really want your friends to remember you, give them something cheap." "It doesn't matter how often a married man changes his job, he still ends up with the same boss." Whatâ€™s your favorite Funny thank you quote?